FOMC announcement is the most influential event for EURUSD along with the US publishing CPI and Retail Sales data. The support rests at 1.12070 with resistance at 1.12270 which the weekly pivot point at 1.12150 is located in between the lines. The EMA of 10 is moving with bullish bias and it is above the EMA of 200 and below the EMA of 100. The RSI is moving horizontally on the 50 level, the Stochastic is showing upward momentum and the MACD indicator is in negative territory. The ADX is showing buy signals. 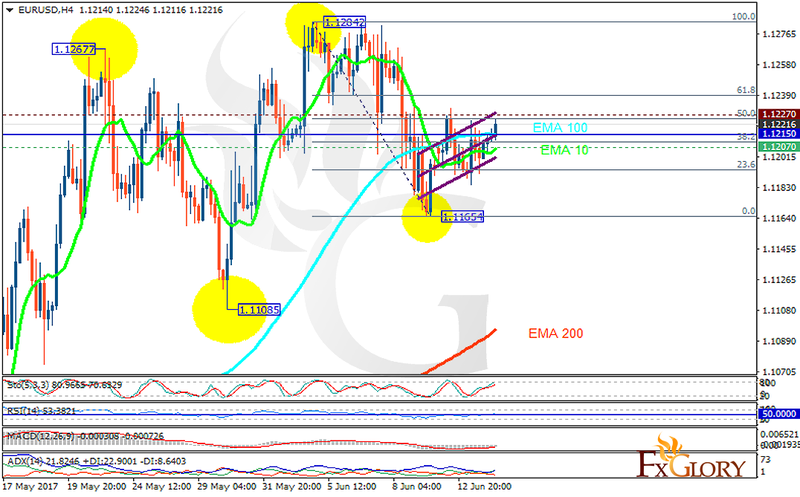 EURUSD is rising towards the 61.8 level of Fibonacci, smoothing the way for further growth targeting 1.15.